Our class action lawyers are dedicated to helping small businesses and consumers who have been harmed by unlawful pricing or fees. These cases include situations where corporations increase prices unlawfully, charge deceptive or unfair ancillary fees, or charge for costs that are not allowed by contract or law. If you were cheated or defrauded by a business or corporation, we can help you reclaim your losses and prevent future fraud from occurring. These cases include insurance fraud, pensions and benefits, and financial fraud. Products that have faulty designs or manufacturing defects harm thousands of people every year. We fight for injured consumers who have been affected from malfunctioning or defective electronics, medications, cars or trucks, and appliances. Have you suffered because of a manufacturer or corporation’s deception, fraud, or negligence? Often times, the harm you’ve suffered is shared by hundreds or thousands of other individuals. Instead of litigating each claim separately, class action lawyers combine these claims and go after corporations while representing a class of people who have been similarly affected and who may not have a real avenue to recovery otherwise. A class action lawsuit is one of the most powerful ways injured consumers can band together to fight for justice. 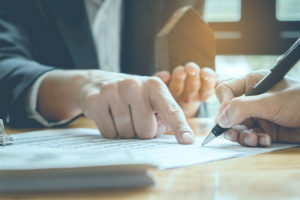 These cases can be brought in either federal or state court, and if the outcome of the class action is positive, the settlement amount is split between the plaintiffs. The lead plaintiff in the case must be “typical” of the class members. The lead plaintiff must adequately represent the entire class. There must be a significantly large group of people who were injured in a similar manner. A sufficient number of common questions must be shared among the proposed class. If you are one of the lead plaintiffs in a class action lawsuit, you could be representing thousands of others who have been similarly harmed. By seeking justice for yourself – you are also seeking justice for others and sending a clear message to corporations and manufacturers that consumer rights matter. At Price Armstrong, we will hold corrupt corporations accountable on your behalf. We believe that everyone deserves justice, and that together, we can achieve it. Our law firm has the experience and resources needed to tackle these complex cases, and we aren’t afraid to go toe-to-toe with the largest financial institutions, corporations, and manufacturers in the country. Our firm is designed to ensure that we can bring to bear the resources and experience necessary to win these types of complex cases, and our track record in doing so is unparalleled. What is the Difference between a Class Action Lawsuit and an MDL? In an MDL (Multi-District Litigation) lawsuit, each case is consolidated for matters occurring before trial, and then tried separately. A person who is part of an MDL will have the individual facts of his or her case heard, and the individual settlement will be based on the level of harm the jury believes the patient suffered. In a class action case, a class representative is appointed to represent the interests of the class as a whole and the claims of hundreds or thousands of plaintiffs are resolved through the efficiency of a single trial. In both MDL and class action cases, the costs of litigation are significantly decreased, meaning more money should be recovered per plaintiff and the resources of the court system are conserved. How do I Join or Bring a Class Action Lawsuit? If you believe you have been the victim of fraud or unlawful conduct that also could affect many other people, or if you have become aware of an existing class action which describes something you’ve experienced, you may able to join a class action that is ongoing as an additional class representative or to bring your own class action. Our attorneys will provide a free evaluation of your claims and any ongoing litigation and, if we are able to represent you, devise a strategy based upon our expertise and experience that will maximize your ability to recover not only for yourself, but also for other class members. The scope of our practice means that we may be able to pursue your claims on a class basis in any state even in the face of other ongoing class litigation. How do I Collect Money in a Class Action Lawsuit? If the case is settled or goes to trial and a monetary settlement fund is created, the class members will generally share in this amount according to their individual damages. Often, to claim this share each member of the class will receive notice and be required to submit a simple claim form online or through the mail. The lead plaintiff or plaintiffs will also receive an amount determined in part by their level of participation in the lawsuit, called a class representative incentive award, which courts approve in recognition of the public service provided to the class. The amounts of class representative incentive awards can range from $5,000 to $25,000 or more. I received a notification that I was part of a class action lawsuit - now what? If a class action is certified, either adversely as part of the case or for purposes of settlement, the court will order that those potentially affected by the class action receive a notification. The notification is generally sent via direct mail or email, and will also be available on a settlement website. In many cases, class membership is automatic—and unless those affected by the action opt out, they will be a part of the case. If you did not opt out of a class action case, once the case has reached a settlement, you are not allowed to bring your own individual claim for harm. If you have received notice that you might be a member of a class action, please feel free to contact us today. If you have suffered because of a corporation’s deception, fraud, or negligence, contact the attorneys at Price Armstrong. We can help you seek justice and protect your rights throughout the process. Call us today at (205) 208-9588 for a free initial consultation and review of your case. Let us fight for you – call now!